This article is in three parts. 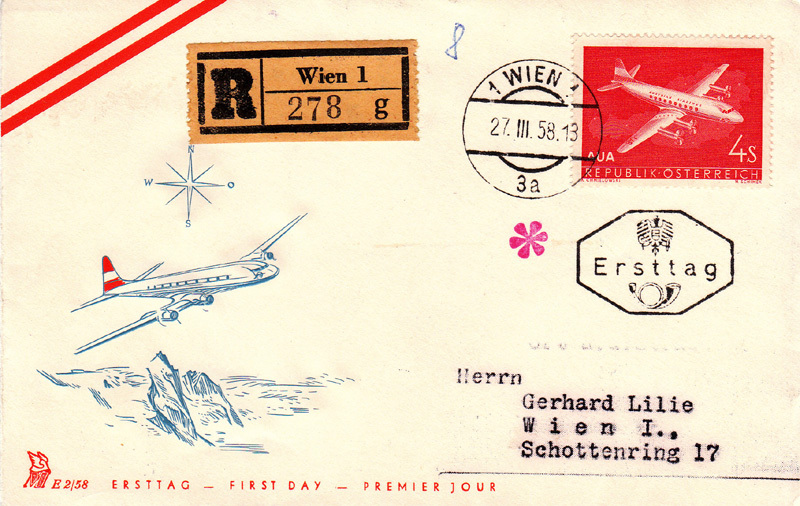 Firstly, Steve Schweighofer discusses the star-shaped marks sometimes found on Austrian airmail covers. Working on the examples led Andy Taylor to explore the rates, aided by Kainbacher's book 'Flugpost Österreich 1946-2007', volume IV, part 1 (APS Library nr 436) and courteously corrected by Henry Pollak. Finally, an extensive range of examples is shown. The material was originally published in the APS journal 'Austria', issues 167 and 176. The marks will be called 'stars', partly because 'asterisk' is prone to mis-spelling!